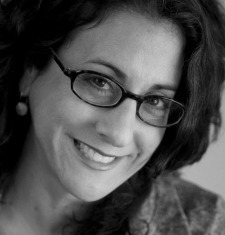 Amy Kawadler received her Bachelors of Fine Arts degree in Photography from Massachusetts College of Art in Boston. She relocated to Southern California the day after graduation with $300 and a camera in her hand. Before becoming a Pro Product Support Supervisor at Canon USA, Kawadler worked as a photographer in a variety of industries. Today, 20+ years later, Amy is working at the new Canon Hollywood Technology Center liaison with professional trade and imaging associations, strategic marketing within the photographic and cinematic organizations and sits on the advisory board of The Palm Springs Photo Festival. For the past five years, Amy has been a preliminary judge for the PhotoBook Now contest. She has taught photography at Julia Dean Workshop, Santa Fe Photographic Workshop and PhotoExperience.Net, among other institutions. She continues to pursue her own photographic work within the world of corporate life.